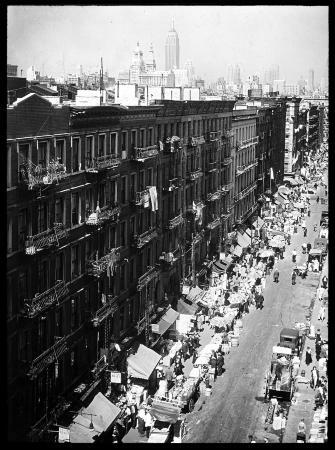 View from an elevation of tenements on Orchard Street in New York City's Lower East Side. Blankets and other items hang from balconies of the tenement buildings on the left. The street below is lined with push carts and sidewalk stands.